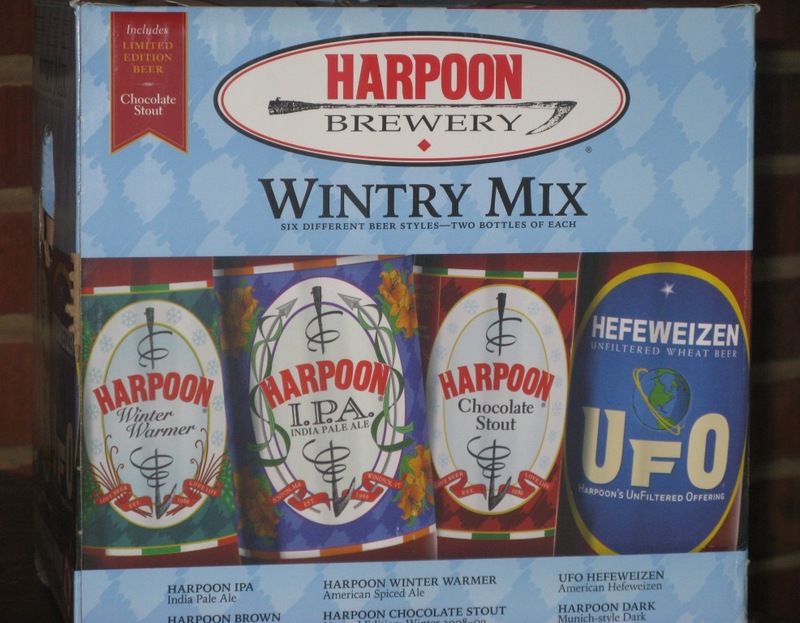 I can check off another winter mix-pack from my beer to-do list: the Harpoon Brewery Wintry Mix, which features two bottles of six different beers. I picked up the 12-pack at Magruder’s (December 11) after searching for it for a couple of weeks. Besides my affinity for mixed 12-packs, I was looking for this 12-pack for the Chocolate Stout. I wanted to include a Chocolate Stout in my Decemberfest beer tasting, but I could not find this 12-pack in time…I settled for the Rogue Chocolate Stout, which was actually one of the favorite beers of the tasting, but I digress. The Wintry Mix from Harpoon Brewery (Boston, MA) offers a solid line-up of easy drinking beers – there’s something here for every beer drinker’s palate. P.S. The same weekend, on December 12, the family had dinner at Gordon Biersch in Rockville, MD where I enjoyed the tasty Winter Bock. Digressing can be good and delicious all at once… thanks for giving Rogue Chocolate Stout a go in your holiday tasting. Check my blog (roguechocolatestout.com) for news, recipes and other info about the beer which has me on the label. cheers!